Phyllis Chesler was a founding member of Women Of the Wall, and is now a founding member of the “Original Women Of the Wall.” She previously called thousands of young women praying silently “mean girls at the Western Wall,” and compared traditional Jewish women to women who conduct honor killings in other cultures. But in response to a comment by WOW on their Wall, Chesler echoed many of our complaints about WOW. She presents a myth of her own, that only the Plaza built for traditional prayer less than 40 years ago is “the historic Kotel.” This is not true. By expressing a willingness to move to Robinson’s Arch, the WOW board is acknowledging that the government has provided them a place, at the historic Kotel, where they can pray undisturbed and without disturbing others. Chesler’s group adamantly refuses to acknowledge the right of other women to pray in accordance with thousands of years of Jewish tradition, undisturbed. 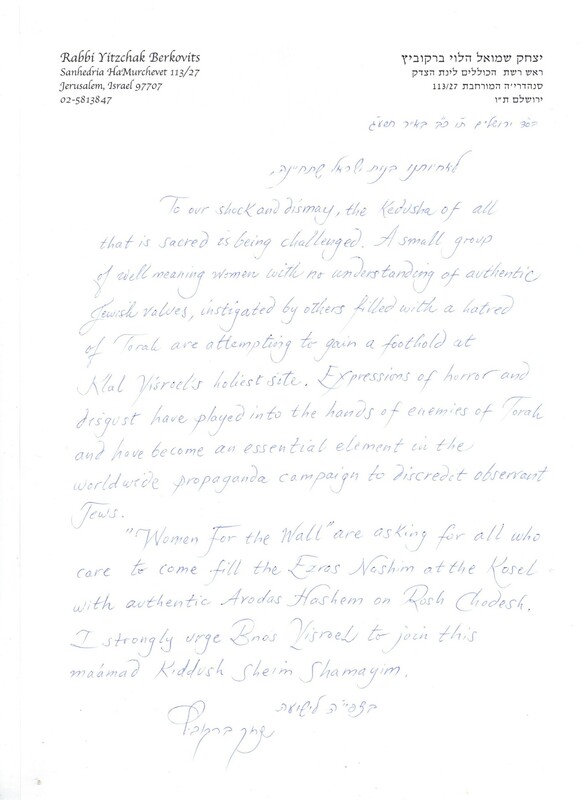 I am astounded and appalled by WOW’s board’s attempt to take credit for everything and anything and to spin their sacrificing of women’s religious rights at the historic Kotel to their own P.R. advantage. These rights are the very rights that WOW’s Board has been trying to sacrifice as they have chosen to ally themselves with the Reform mixed gender minyanim and at Robinson’s Arch only. 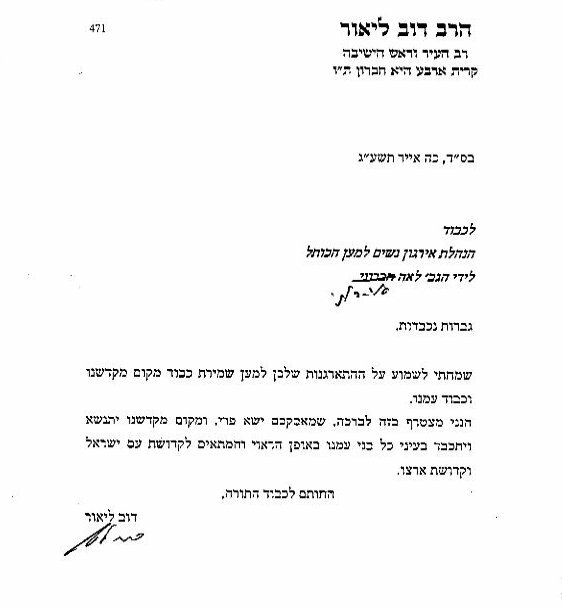 WOW Board knows that it has driven away many Orthodox and non-Orthodox worshipers by their religious practices, non-stop desire for media attention, their willingness to criticize Israel in North America and Europe during the years of the Al Aqsa Intifada–and finally, by their violation of their own basic principle to remain at the EN at the historic Kotel, not to call elsewhere “also’ the Kotel. politics with Tefila and tearing apart our nation. and in general anything that justifies the Orthodox position.